Grape seed oil has been rapidly inching up the skincare stakes, with everybody from Caudalie to Burt’s Bees and Dr. Brandt calling upon its potent beauty benefits. Cold pressed from the seeds of wine grapes, it’s full of antioxidants and essential fatty acids that are known to prevent and reverse environmental damage, minimize skin ageing and help control acne. 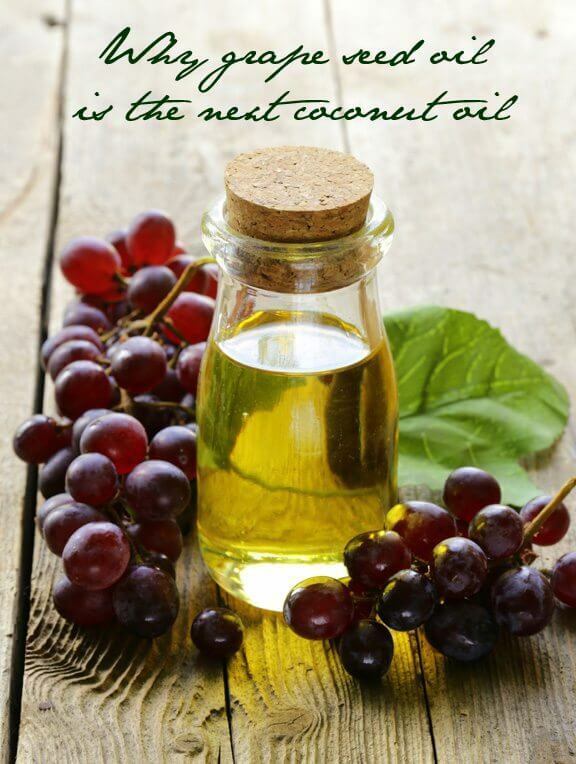 With beauty benefits like these, grape seed oil has the potential to become the next coconut oil. Doesn’t it? However, as Emma Stone – who uses plain grape seed oil to moisturize her sensitive skin – knows and proves, you don’t need high end skincare products to reap the benefits of this magic ingredient. All you need, in fact, are a few drops of organic, cold pressed grape seed oil that you lightly massage into your face and body. Or you can mix 12-15 drops with two tablespoons of yogurt to make a potent purifying face mask; leave it on for 20 minutes and then rinse off with warm water. Time then, to learn more about what this simple skincare ritual can do for our complexions. Grape seed oil is a powerful antioxidant. In fact, scientific studies have shown that the antioxidant power of proanthocyanidins found in grape seed oil is 50 times greater than vitamin E and 20 times greater than vitamin C. This makes it a potent weapon in the fight against environmental toxins and sun damage. Not only does grape seed oil neutralize free radicals (skin damaging molecules), it also helps maintain optimal levels of skin-firming collagen and elastin. Plus, it’s rich in the fatty acids that are vital for a healthy and glowing complexion. And it helps to stimulate regeneration of skin tissues – according to scientific reports, grape seed oil can even quicken the healing process of skin wounds. Try it on stretch marks and watch them vanish! Grape seed oil is extremely rich in linoleic acid, which helps strengthen cell membranes and improve skin health. It’s also a powerful anti-inflammatory. Taken together, these properties make grape seed oil not only terrific at preventing acne breakouts but also a great ingredient in helping cure existing zits and scars. Unlike heavier oils like almond and Shea, grape seed oil has a very fine, non-greasy texture that does not leave any residue on the skin. And because of a small molecular structure, it absorbs pretty quickly, giving skin an exceptionally soft and satiny finish. However, this doesn’t mean that grape seed oil is a lightweight when it comes to hydration – its potent levels of Omega 6 and vitamin E regenerate and intensely nourish even the most dehydrated epidermis, leaving it moisturised and healthy, without worry of irritation. Grape seed oil has a high natural astringency, which makes it good at toning and tightening the complexion, while refining the pores. This is another reason why it’s particularly good for oily skin. Most skincare-capable oils are derived from nuts, making them unsuitable for a large amount of the population. Grape seed oil, on the other hand, has all the benefits of these oils without the side effects. In fact, you would be hard pressed to find a more versatile yet skin perfecting ingredient on the market today. So, does this convince you to try grape seed oil? Or are you already a fan? Great Post! Grapeseed Oil is already a staple of mine, I use it to seal my hair at night. I love that it is super light and doesn’t weigh my hair down. It penetrates my strands and locks in the needed moisture. I use grapeseed oil on my body after showers while my skin is still wet & it makes my skin feel amazing. I see you said that GS oil is great for oily skin. I have super oily & acne prone skin on my face. I also have acne scars. Is it suggested to use the oil ALONE or should it be mixed with something else? You can add just a tiny bit of tea tree oil for the acne though it will work pretty well on its own as well! I mix grape seed oil into my lower quality coconut oil, I just remembered I put it in my hair with the yogurt mask. can I use 5 drops of GS oil + 1-2 drops of sweet orange essential oil to massage my acne prone skin? Please help as i am facing lot of break outs. How does GS oil compare to avocado oil? Good article! Grapeseed oil is actually one of the highest natural oils in vitamin E available; many others like jojoba oil are claimed to be but lacking in reality. Grapeseed oil contains 7% of the daily allowance for vitamin E per tablespoon. Also, the other oils which do contain plenty like olive oil have side effects; olive oil contains 70% oleic acid and oleic acid is far too irritating and sensitising to apply topically. 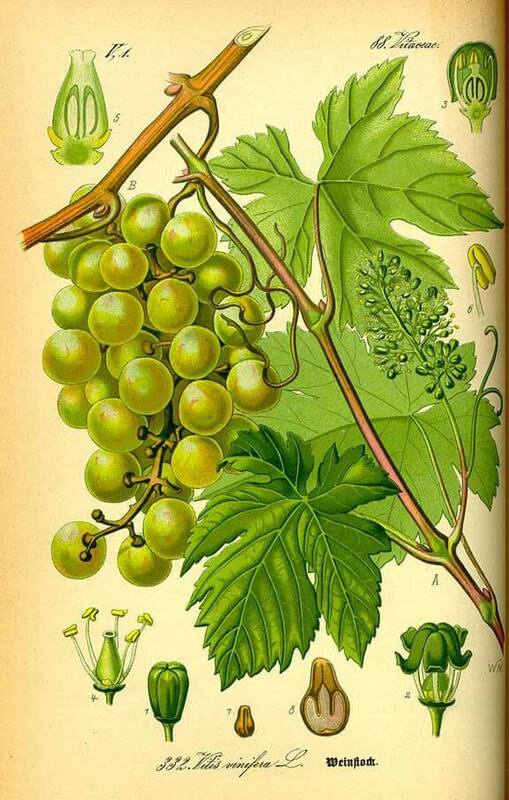 Grapeseed oil only contains 15.8% oleic acid; hence it’s excellent for clearing acne. Read all of the article and comments & your reply… I have been looking for something for my very dry skin. Plus I am getting older… That being said I was hoping that the Grape Seed Oil may be the One! I’m going to give it a try, plus I have told my youngest daughter about this article so it may help with her break outs! Jojoba oil works pretty well for me. Can jojoba oil added with grape seed oil give good result to my acne oily skin?